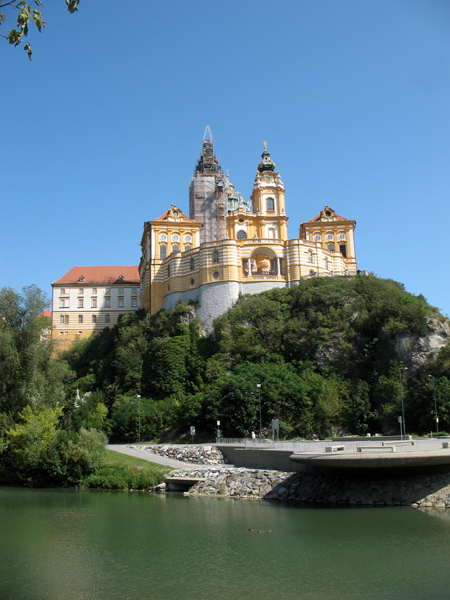 We think cycling the Danube without learning about the local history and culture is only half the journey. The guide book that you will use provides a few cultural insights and facts already. Signs along the way provide information about the area as well. However, there is so much more to discover. And the best way certainly is a guided walk with a local guide. The walks usually last for about 60 to 90 minutes and don't cost a fortune. Guided walks are offered daily at 1 pm as well as Fridays and Sundays at 6 pm. Find more information here. Additionally there will be bi-lingual (ger/eng) hourly walks available from 2019. 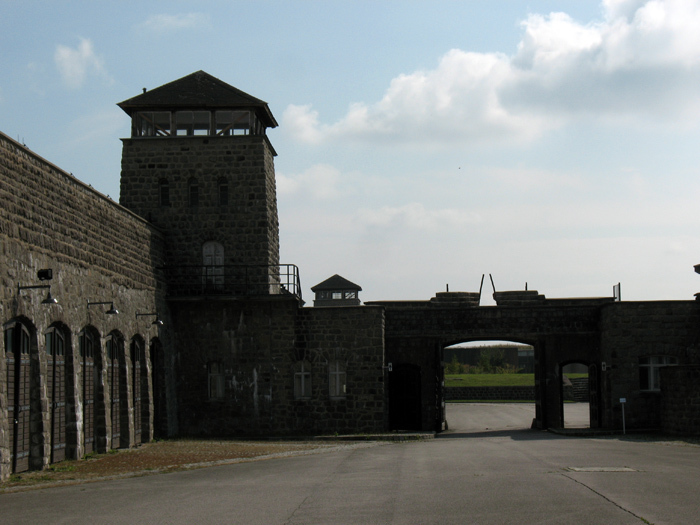 Highly recommended is a visit to the former concentration camp near Mauthausen (video). Admission is free. Audio guides are available and provide detailed information in various languages (€3 per device, bring your passport or ID card as a deposit). Either cycle up to the visitor centre on the road (very steep!, <map link: visitor centre>) or leave your bicycle in the quarry and walk the quarry stairway up to the camp (<map link: quarry>, unfortunatelly currently closed). Alternatively, you may cycle the sligthly more gently detour to the visitor centre (<map link: detour>). Calculate 60 to 90 minutes on the site plus time to get there. You may consider joining a guided cycle tour. Many itineraries include guided walks at noteworthy places already. Join Bianca and her team on a 4.5 hrs class including grocery shopping in central Vienna (four to ten 'guest-chefs' at a time, apple strudel and goulash [beef as well as vegetarian]). Similar, a walk along the Naschmarkt food market, followed by a private cooking class is offered by Andrea at Vienna Cooking Tours (no set schedule). Nearby the Hundertwasserhaus east of central Vienna, restaurant Andante offers shop'n'cook events (presumably upon request) as well as cooking classes (every Tuesday).